Six years before she wrote Little Women, Louisa May Alcott, in financial straits, entered "Pauline's Passion and Punishment," a novelette, in a newspaper contest. Not only did it win the $100 prize, but, published anonymously, it marked the first in the series of "blood & thunder tales" that would be her livelihood for years. 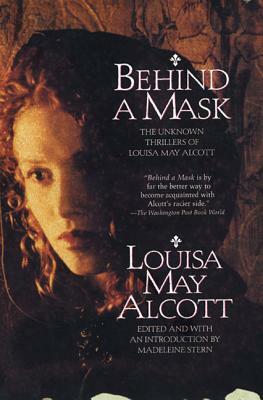 In Behind a Mask, editor Madeleine Stern introduces four Alcott thrillers: "Pauline's Passion and Punishment," "The Mysterious Key," "The Abbot's Ghost," and the title story, "Behind a Mask." First published in one volume in 1975, they are regarded as Alcott's finest work in this genre.